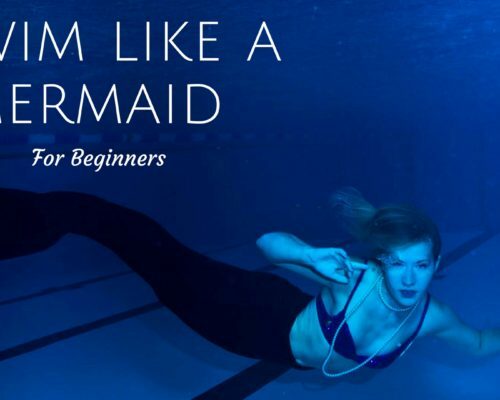 Hello Fellow Mermaids, do you want your home to feel more “under the sea”? 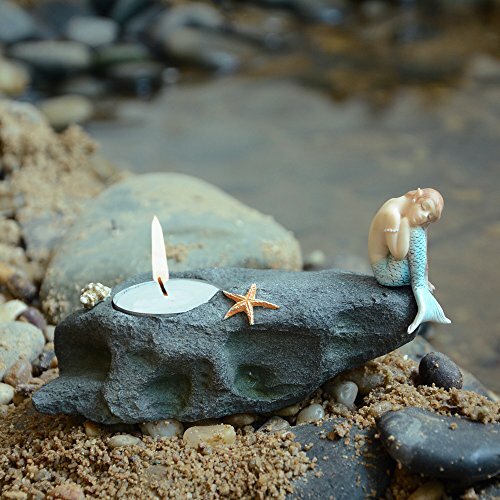 Let’s kick things up a notch with some mermaid decor ideas! 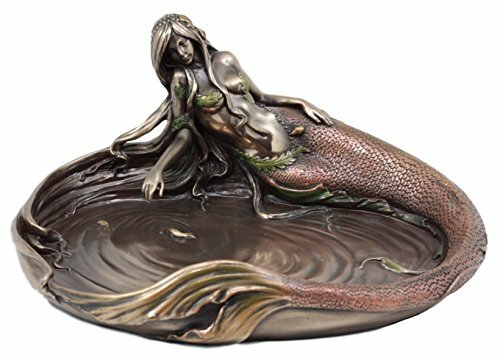 Whether you want to go all out or have a few hints of your mermaid passion around the home, this list will give you some home decor ideas of what’s out there. The bathroom is the most natural place to have mermaid decor. A few seashells here, a picture of the beach or waves there. You can never go wrong. Below are some other ideas you might not have thought of yet. 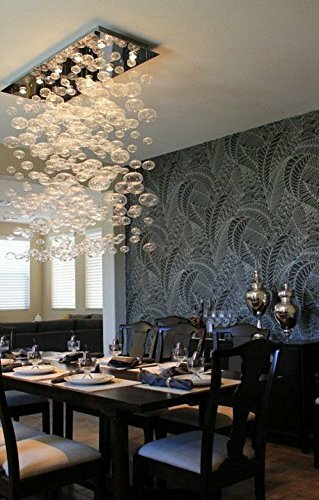 What could be more mermaid in your home than a bubble chandelier!?! These are beautiful and come in so many different shapes and colors. CLICK HERE FOR MORE BUBBLE CHANDELIERS! 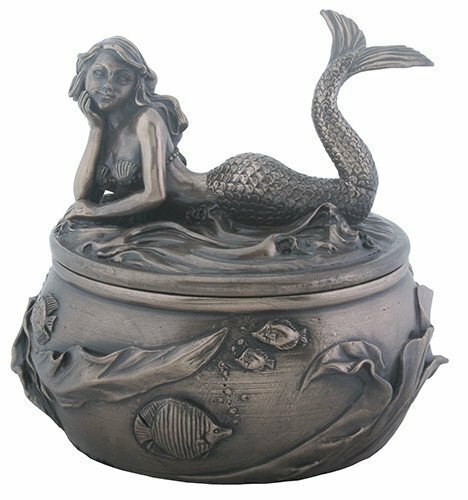 Add a cast iron mermaid statue lamp to your living room. She will act as a night light and make sure you don’t stub your toe! Pirates and Mermaids go together in a weird sort of way… Why not have a decor sign for them in your bathroom! This wood sign could also work in a kids room. CLICK HERE FOR MORE MERMAID SIGNS! There are many options for mermaid shower curtains. I liked this blue one but you can find plenty of others, even ones with colorful mermaid scales which would be fun for a beach house. CLICK HERE FOR MORE MERMAID SHOWER CURTAINS! 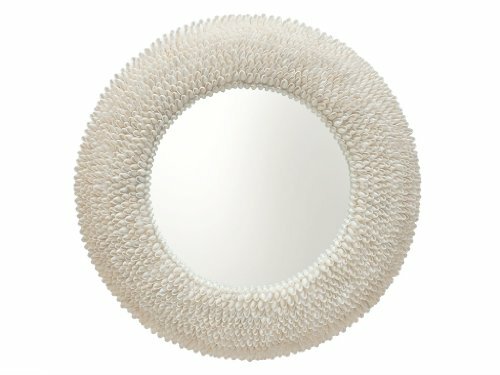 You can add a seashell or a mermaid mirror to the bathroom! A beautiful mirror for a beautiful mermaid. CLICK HERE FOR MORE MERMAID MIRROR IDEAS! I love this bath mat! Every time you step out of the bathroom shower you will make an important decision that will affect the rest of your day. Do the right thing, decide to be a mermaid. CLICK HERE FOR MORE MERMAID BATH MAT IDEAS! Teal and gold are my two favorite colors. 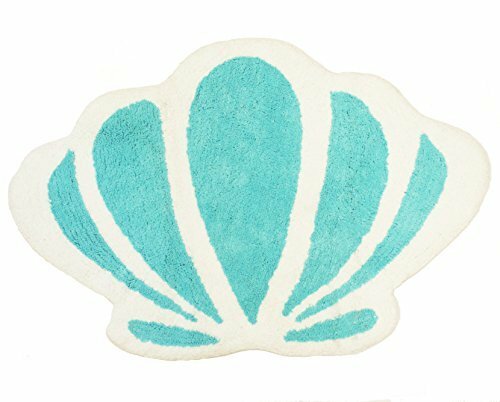 Brighten up your bathroom with this mermaid beach decor towel. There are also great soap dishes you can buy with a little mermaid figurine gasing at a fish swimming in the water. There are also options to make your own mermaid soap! Let’s move on to the bedroom, shall we? Mermaid themed bedrooms are more common for kids but what about the adults?!?!? Here are some ideas for simple bedroom mermaid decor. What a fun little accent to put in your room. There are various styles to choose from, even if you want it for an electrical cord plugin. Again, teal and gold are my favorite colors. 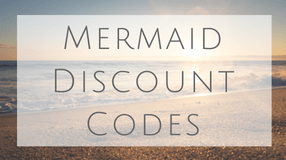 This is a larger mermaid wall decal than I would choose but a super fun idea! “Mermaid Kisses And Startfish Wishes!” There are other small decals, even black and white silhouette to choose from. A bed cover is a bold move for the bedroom but I really like this one of just a mermaid tail. Fun colors and great “conversation” starter. If this is too flashy! 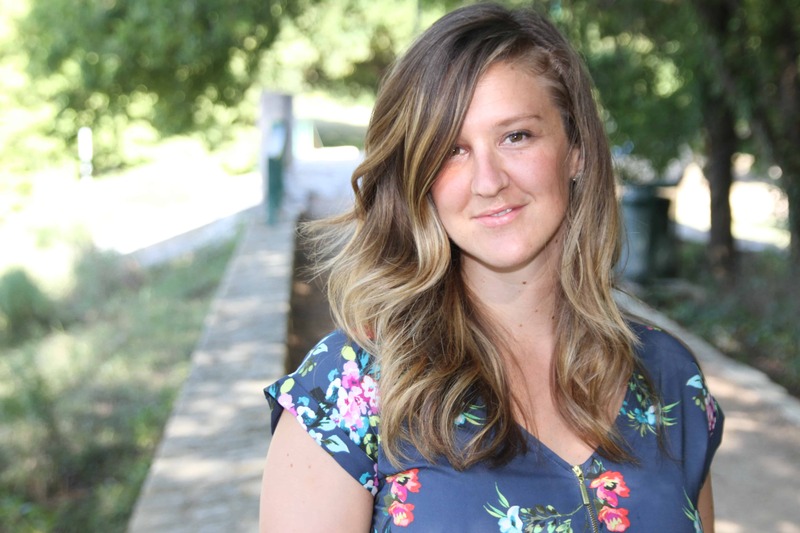 There are others to choose from, check out some ideas here! 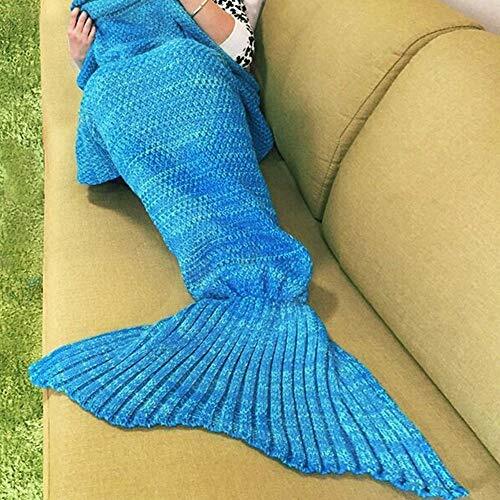 Don’t forget, you can use a crochet mermaid blanket as well! Yes, I would totally do this. I LOVE GOLD! 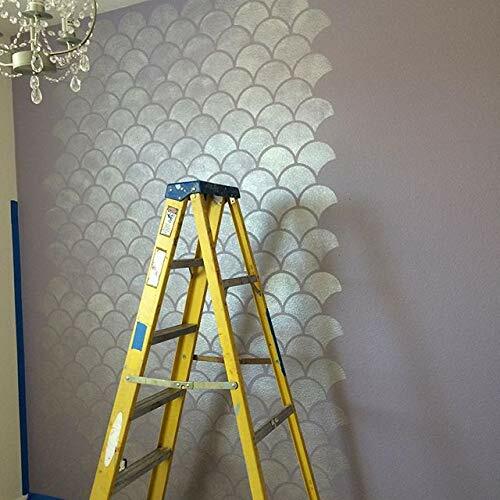 Mermaid wall art wallpaper is a great way to add texture to the room if you don’t want to commit to actual mermaid or fish scale tiles. Any mermaid cat lovers out there? You need a “purmaid” in your life. How fun is this? 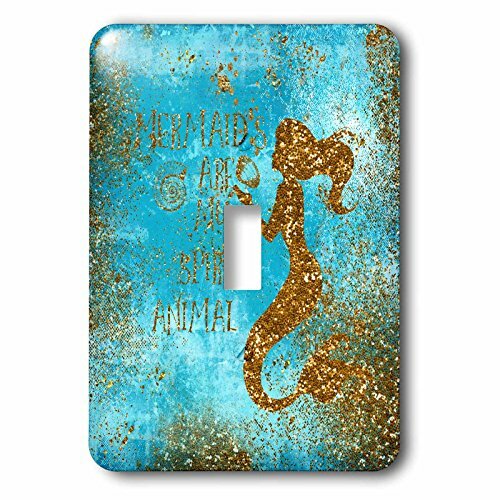 CLICK HERE FOR MORE MERMAID CAT ITEMS YOU CAN BUY! 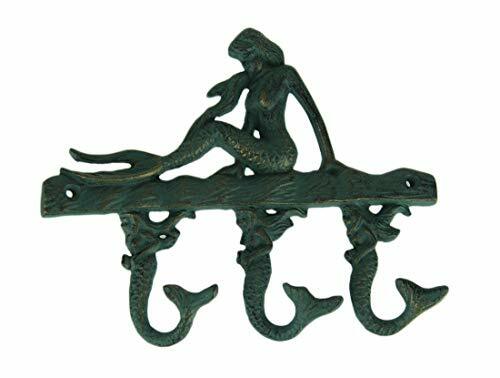 Need a place to put all your mermaid jewelry? A great way to decorate your room. Now you have your bathroom and bedroom taken care of, what can you do for other areas of the house? Mermaid tail blankets for the win! I have mine in my bedroom but for a living room, this blue blanket is great for reading or watching a movie. 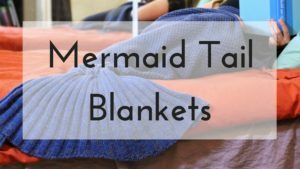 CLICK HERE FOR MORE MERMAID BLANKETS! Mermaid Pillows are a MUST have for mermaid decor. They are better than therapy. 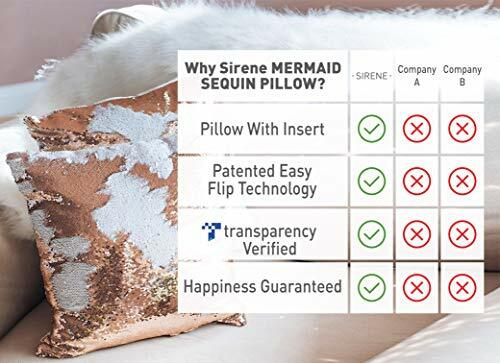 This double sided mermaid sequin fabric throw pillow changes color depending on the direction you move them. So many colors to match with any color scheme. CLICK HERE FOR MORE MERMAID PILLOWS! Isn’t she peaceful to look at? You might be interested in other types of Mermaid art but one thing is for sure! There is plenty of types to choose from. Some of my favorite painting prints are watercolor which seems fitting for mermaids. CLICK HERE FOR MORE MERMAID ART! Need something to make your kitchen more fin-tastic? A mermaid mug will do the trick. 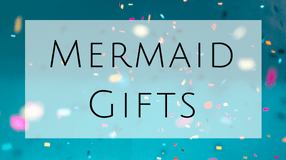 These are also great for Mermaid gifts if you have a mermaid lover in your life. CLICK HERE FOR MORE MERMAID MUGS! 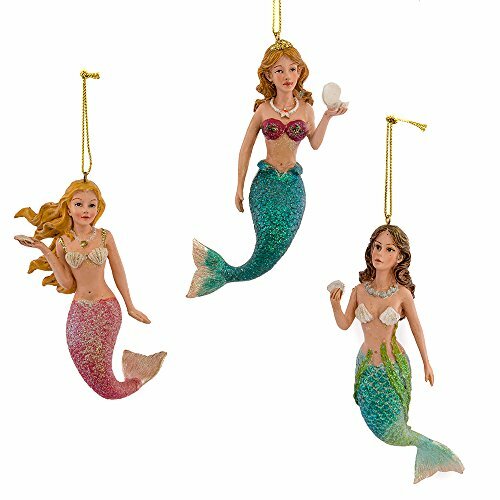 Christmas only comes once a year but why not get a mermaid ornament to decorate your tree? CHECK OUT MORE MERMAID ORNAMENTS HERE! Candle holders come in all different shapes but how fun would this be at a beach house! Little accents around the house, or out by the pool to hang your towels on! 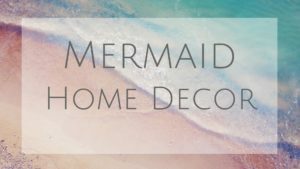 I hope this post gave you some good ideas on how you can up your game in mermaid decor. Let me know in the comments below if I am missing any items and I will add them onto the list!